The long-standing 'Terminate the Rate' campaign, which aims to make things cheaper for the consumer, has been given the green light from Ofcom. The campaign sees BT and 3, among others, call for changes to mobile termination rates – which are the fees levied by a network to allow other networks to connect to its users. The new proposals from Ofcom will mean these wholesale rates would fall from around 4.3p per minute today, to 0.5p per minute by 2015. 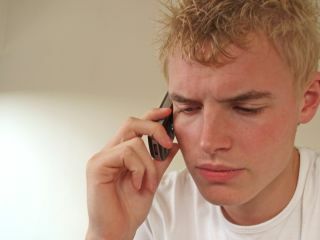 Kevin Russell, CEO of 3UK said: "Low mobile termination rates are great news for the UK consumer. This change is overdue and we call on Ofcom to bring it in as soon as possible. Consumers will benefit from better deals and we'll cut our prices significantly over the next two years." However, the larger networks are less pleased with news, claiming that the proposal will mean innovation and investment will be stifled. "This is a backward step for Britain," said an Orange UK spokesperson. "If these measures are put in place they will stifle innovation. "Any incoming government should be mindful of what these ill-considered proposals mean for the future of their country. "Consumers now get better value than ever before from their mobiles – and that value will continue to increase. "However, if these proposals come into force, the way our consumers currently buy, use and enjoy their mobiles may be forced to radically change. "Handsets may no longer be subsidised, you may have to pay to receive calls and the rollout of Digital Britain and other network investment may be stalled considerably. "These proposals are a lose-lose situation for the British consumer."